We are a certified public accounting firm that has been providing value-added solutions to our clients for over 30 years. Our professional services include accounting and auditing services, tax planning and return preparation as well as and trust and estate planning. Our clients consist of owner-managed businesses, non-profit organizations, local governments and individuals. We are located in Cary, North Carolina and serve the greater Triangle area. Our commitment to our clients is our most important priority. Our core value of providing quality, responsive professional services with the highest integrity is the cornerstone of our practice. We hope you will find our website useful and look forward to building a long-term partnership. 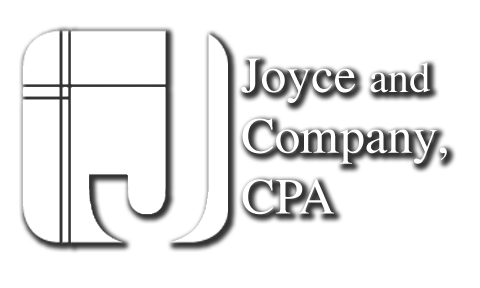 On this website, you will find information about Joyce and Company, CPA, including our list of services. We have also provided you with online resources to assist in the tax process and financial decision-making. These tools include downloadable tax forms and publications, financial calculators, news and links to other useful sites. Whether you are an individual or business in or around Cary, Joyce and Company, CPA has years of valuable experience assisting professionals with their accounting needs.